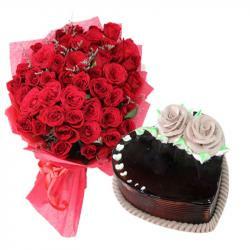 Product Consist : Bunch of 18 Red Roses along with Cadbury Dairy Milk Chocolatee (Weight : 50 Gms). 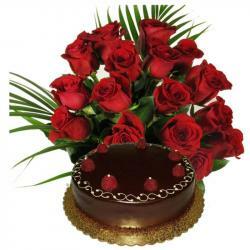 The first person you have romantic feelings for her. Usually the boy had first crush on girl-next-door, that popular douche, your elder sibling's really hot friend and or may be your Chemistry teacher. 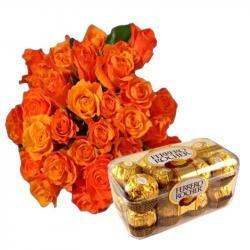 This Valentines day is time when you can disclose your inner most feeling by sending this small token of love. 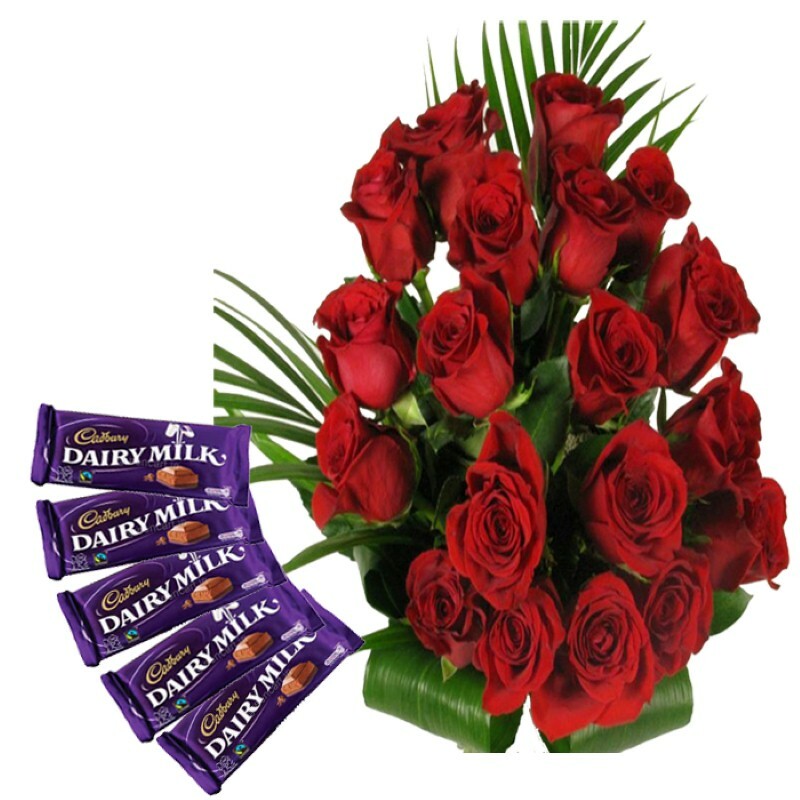 Let your love ones in India know how much you feel for them with the help of this Love Combo of fragrance of eighteen red roses bunch and with sweetness of dairy milk chocolates. 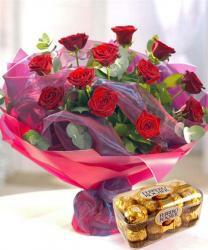 Product Includes : Bunch of 18 Red Roses along with Cadbury Dairy Milk Chocolatee (Weight : 50 Gms).